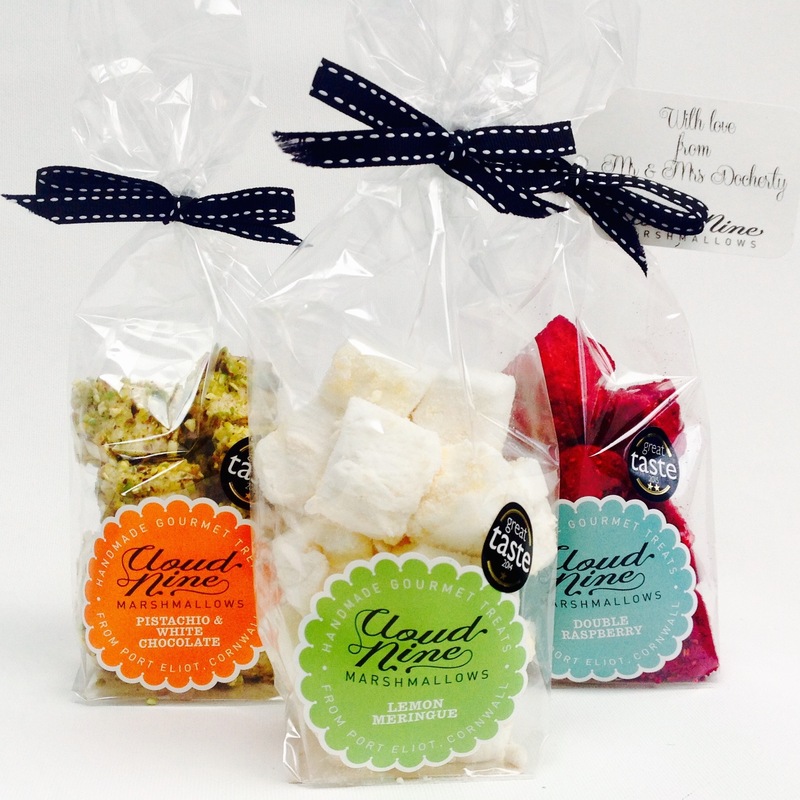 We're very proud to offer you a hat-trick of handmade gourmet marshmallow flavours so great they've been awarded a total of four Great Taste stars by the Guild of Fine Food: Pistachio and White Chocolate, Lemon Meringue and Double Raspberry. Together they make a truly triumphant triumvirate and a pretty fabulous gift, contribution to a meal or party, or decadent treat for you to indulge in. Pistachio and White Chocolate Marshmallows: layered with Belgian white chocolate, mixed with pistachio paste and coated with crushed pistachios. Lemon Meringue Marshmallows: a surefire favourite with its layers of tangy lemon curd and crispy meringue, all made to our own Cloud Nine recipes. 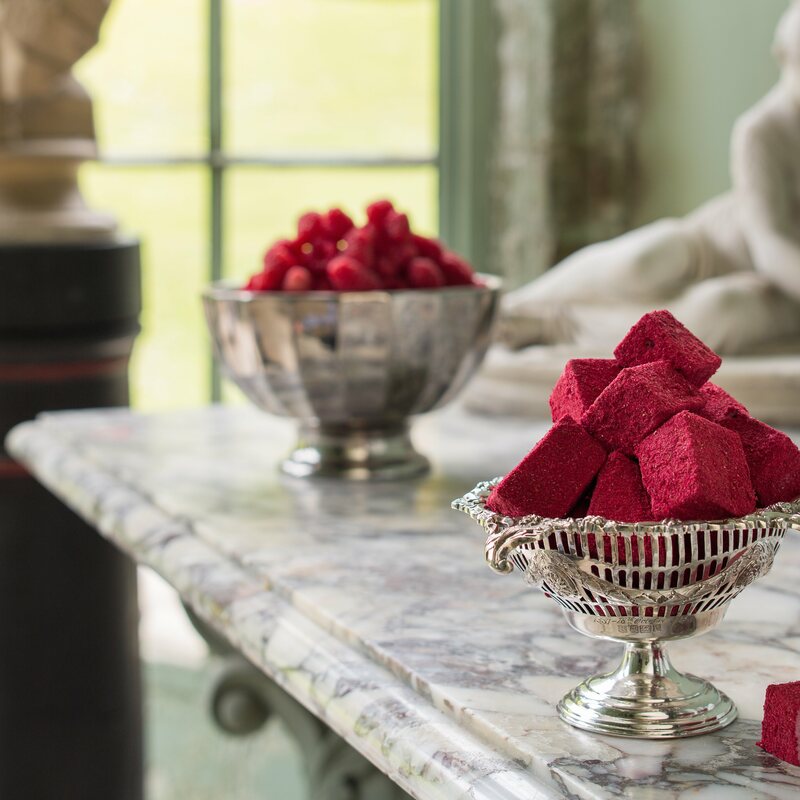 Double Raspberry Marshmallows: A rich, fruity burst of flavour, made with all-natural raspberries. Net weight: 300g. Each 100g bag contains around ten inch-cubed marshmallows. Free postage and an elegantly printed gift tag with a message of your choice are included. 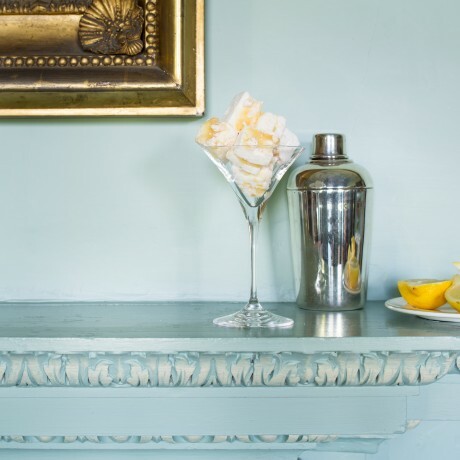 Shelf life: Keep sealed, cool and out of direct sunlight. Will last for up to two weeks. The marshmallows are best eaten freshly made, so if you'd like them delivered at a later date, please specify in your order. Allergen advice: The Pistachio and White Chocolate marshmallows contain milk, soya, nuts. The Lemon Meringue marshmallows contain milk and eggs. This product is dispatched by Cloud Nine Marshmallows. This item has a shipping weight of 300g.